I've been road-testing deodorants for you for many months now. Which zero waste deodorants smell the nicest and which work the best? Despite making little notes in my phone like "too floral," I'm here empty-handed: though I now know which work for me, I've figured out that telling you which ones you should use is kind of like telling you what kind of coffee to drink. My preferences have no input on your preferences, my body works differently than your body, what I like doesn't mean a whole lot about what you'll like. So, presented (mostly) without comment, in case it's helpful, a selection of the natural deodorants I've tried that come in recyclable or compostable plastic-free packaging. The one thing they all have in common is that they are free of baking soda, which I've found to irritate my skin. (More on how to avoid that, here). In case you're in the market for a new alternative, here are ideas for places to start. Some of the links below are affiliate links, which means Litterless may make a small commission on items purchased. -Meow Meow Tweet: Their baking soda-free deodorant is my go-to and what I reach for every day. It comes packaged in a cardboard box (recyclable) and then a glass jar (reusable, then recyclable). At $18 a jar, this may seem like more than you want to pay for deodorant, but one jar has lasted me almost exactly a year. They also make a more traditional deodorant stick, without the plastic or the nasty ingredients; the cheerful cardboard packaging is biodegradable once it's empty. I'm eager to try their new rose geranium scent, but for now I have their grapefruit version. -Little Seed Farm: Though I haven't tried their deodorants, I love the scents that Little Seed Farm uses in their soaps, and the fact that they make their products just a few states away from where I live. 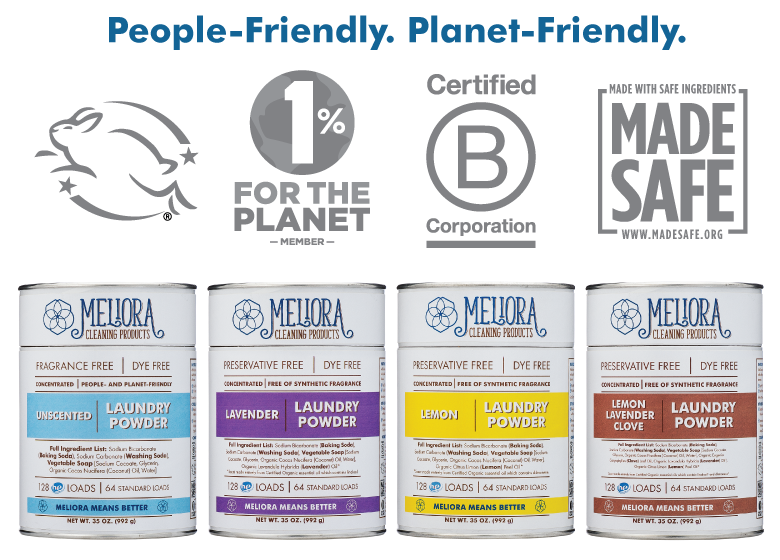 They have a new baking soda-free deodorant that comes in a glass jar, inside a small cardboard box printed with the words "please recycle this box." When you check the box for their "zero waste shipping option," your order will come with no additional packaging materials. -Routine: This Canada-based natural deodorant brand makes "The Curator," a baking soda-free option. I found the scent overpowering, but fragrance enthusiasts might be fans. 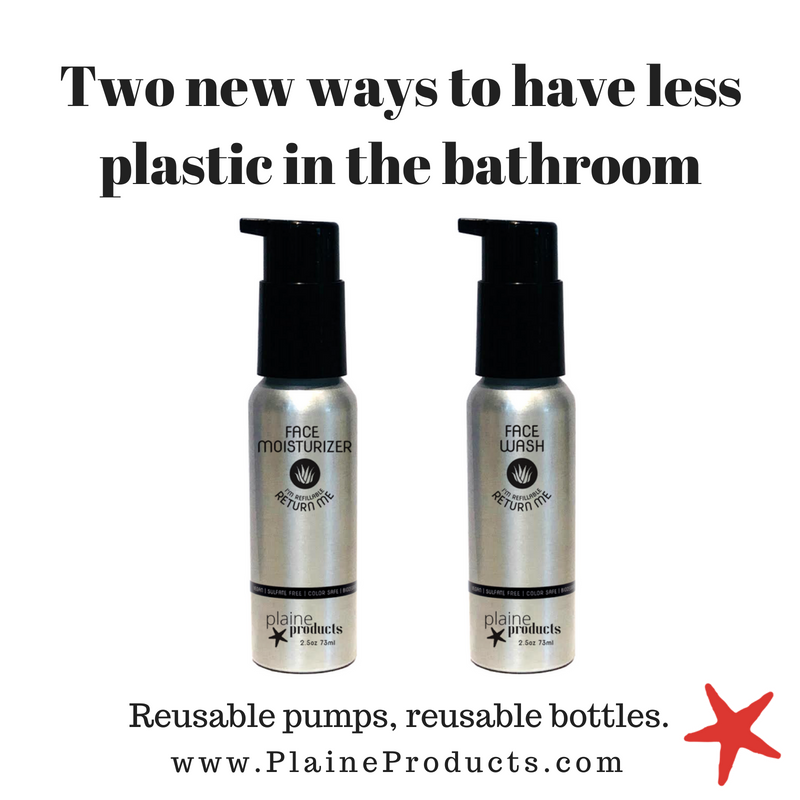 Note: the glass jar of deodorant comes with a plastic seal on top that will become landfill trash, and consider avoiding their small sample sizes, which come in tiny non-recyclable plastic pots. -Fat and the Moon: This all-natural variety has a balm-like texture that's smooth and luscious. I have the small tin for traveling and testing, but if you love it and are ready for a commitment, you can size up to the 6-ounce jar to cut down on packaging waste. -Other options: Lalin et La Sirèn's four-ingredient deodorant stick in a paper tube (found here on BLK + GRN), Primal Pit Paste's sensitive skin formulation in a glass jar, Chagrin Valley Soap Co.'s option with clay in lieu of baking soda (in the order notes, ask for yours to be shipped without bubble wrap), and Soapwalla's sensitive skin deodorant (comes in a recyclable plastic pot, but is enough of a cult favorite to be worth mentioning here). Do you have a favorite that isn't listed? A question I can answer? Fire away. 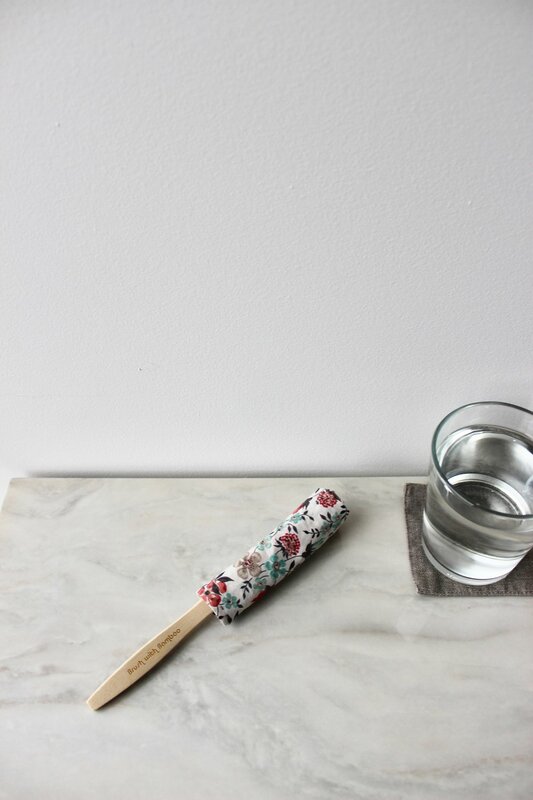 More notes on zero waste bath and beauty, here. This week, Julian and I have been moving into our new apartment in Madison. Hanging up clothing, setting aside duplicate spatulas to donate, finding a shelf for the food processor that won’t cause it to topple on our heads every time we open the cabinet. We love our space, but it’s a bit short on storage, and combining two apartments into one doesn’t help matters. Where possible, we’re paring down. In our bathroom, space is especially at a premium. In my old Chicago apartment, favorite beauty products cohabitated alongside balms or lip colors I used once every month, if ever. With plenty of space to stack everything (precariously), it was easy to keep things around just in case. In our new bathroom in Madison, not so much. I’ve admitted that my bright red and very old RMS lip tint will never be one I wear, and into the recycling it went. Ditto a particularly unloved pot of lotion, and so on. Whether in my Chicago bathroom or Madison one, though, one thing I’m happy to never have taking up space again: pads and tampons. Everyone with a period is familiar with the stacks of unsightly paper or plastic wrappers accumulating in drawers: different weights, different styles, ones bought in an emergency and favorite organic ones stalked at a local health-foods grocery. Having enough on hand could mean filling a drawer, and there are much nicer ways to fill a drawer, of course. It took me a few years of hearing friends rave about it to finally hop on the menstrual cup bandwagon. First a friend in college told me about it years ago, then another friend mentioned she loved it, then I jumped on board and started telling other friends about it, too. It’s easier to try something new and break out of your routine when a friend is doing it alongside. When I first started using a menstrual cup, I didn’t know too many others who used them, too. Now, to most of the women I’m friends with, they’re the new normal. No need to hide them in a drawer so the red stains don’t freak someone out, no need to preface statements about a menstrual cup with the phrase “I recently switched to this weird thing…”, no need to Google questions in a private browser when simply texting a pal will yield answers. It’s so good. That’s why I loved the idea that OrganiCup recently reached out to me to share. They make silicone menstrual cups that come in a GOTS-certified organic cotton bag. This week, they’re offering a 2-for-1 package on menstrual cups so that you and a friend, sibling, or partner can take the plunge together. Just add their menstrual cup to your cart between now and July 17, and another one will automatically be added to your order when you use the code litterless. You can buy one for yourself and casually hand one to your younger sis, text a friend to go in on an order together and split the cost, or even keep the extra in your desk at work just in case. They offer a cup in two sizes: A, for women who haven’t given birth vaginally, and B, for those who have. Just note that because the cup already in your cart will be doubled, you won’t be able to mix and match cup sizes in your deal. To grab your two cups, use the code litterless between now and the end of the day on July 17. And if you’ve got questions about switching to a cup, leave them below (anonymously or pseudonymously is fine!) and I’ll do my best to answer! This post is sponsored by OrganiCup. Thanks so much for supporting Litterless.